A to Z Glass is mobile. 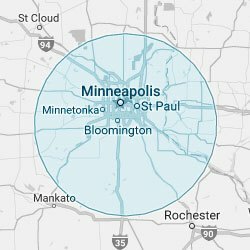 We’ll drive to your location for onsite glass repair and replacement. A 2 minute phone call to your insurance company is all it takes. We handle the rest. All newly installed glass comes with a lifetime warranty against leaks, loose moldings, and workmanship defects. For 18 years, customers have relied on us for expert auto, residential and commercial glass service. I really appreciate you coming out to help on my Duster last week. It means a lot to me. I can clearly see why you are so highly respected in the industry and I feel very privileged to have had your expertise on this build! The trim and glass look amazing! I cannot wait to show it off at the car shows next summer. We had them make and install a custom bar glass countertop, and custom glass shower. The installer was very detailed and did excellent work. We get constant compliments and our friends awe at the bar!! They have done several windshields for us in a timely manner. They came directly to my work and with quality results. Overall a great experience! We would highly recommend! Copyright © A to Z Glass. All Rights Reserved.